During a one-year pilot project in Myanmar’s western Sagaing region, malaria volunteers from 90 selected communities received continuous training on how to diagnose and treat three of the top child killing diseases (malaria, pneumonia and diarrhoea) and screen for malnutrition, an approach called integrated community case management (iCCM). The communities were selected because of their remoteness, lack of government health staff, the relatively high numbers of malaria and high rates of children under five with pneumonia and diarrhoea. Malaria Consortium organised the first training of trainers in June 2016, under the leadership of the Ministry of Health and Sports, with monthly refresher trainings since January 2017. Township health staff and the regional malaria control programme team were trained to become master trainers. These master trainers then cascaded their knowledge down to the malaria volunteers and their supervisors (midwives and health assistants). They taught the volunteers how to diagnose and treat malaria, pneumonia and diarrhoea and how to screen for malnutrition and midwives and health assistants how to supervise the volunteers practising the iCCM approach. The malaria volunteers were already part of an existing network established by the Ministry of Health and Sports. Thanks to the training, the volunteers have now successfully demonstrated they can take on additional skills to improve the health services in their communities for malaria, pneumonia, diarrhoea and malnutrition. With new skills added to their duties, malaria volunteers remain an important asset to their remote communities. 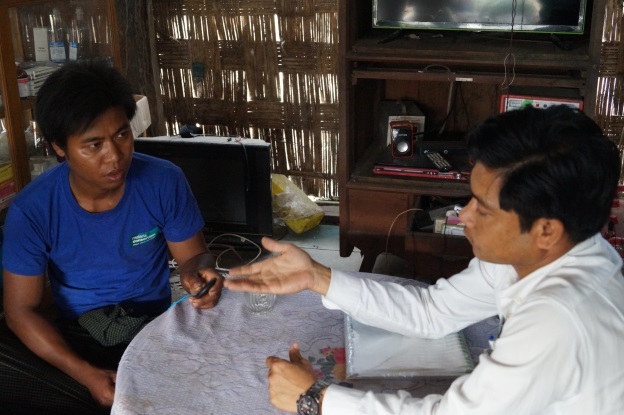 The pilot’s success is reflected in a grant Malaria Consortium recently won from Comic Relief and GSK which will continue to support the populations of Sagaing region. The project will cover three additional townships (Kathar, Wuntho and Kawlin) for the next two years. Funding for the pilot came from Vitol Foundation and UK Aid from the UK Government.